AJS Are THE OFFICIAL Distributors For Tajima Embroidery Machines IN BOTH THE UK AND IRELAND. 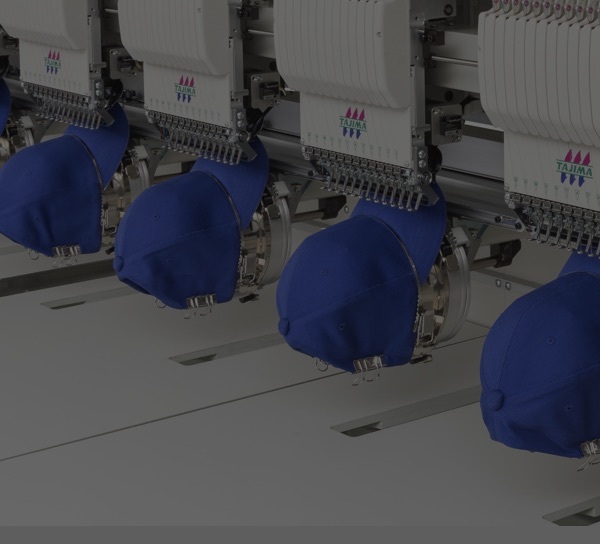 Single and multi-head embroidery machines from Tajima – the most recognised, respected and recommended name in embroidery. 100% Japanese design and manufacture. No.1 in so many ways. With Pulse DG15 software, you can network machines, create lettering, complex designs and even create personalised lettering from your ordering system to your machine! NEW Pulse cloud is changing the way embroiderers work. From the training session on your newly installed machine to our 2 year onsite warranty, our UK based team are here to support you in every way. We are only ever one call away. AJS have been the official UK & Ireland’s distributor for Tajima Embroidery machines for 25 years. In those years our knowledge of the decoration market have helped us start and grow some of the biggest embroidery companies in the UK and our continuing commitment to customer service has given us a reputation that helps us get recognised and recommended everyday as being the No.1 supplier of Embroidery machines, software and associated machinery.